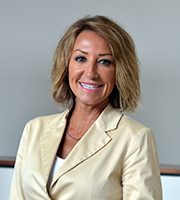 Formerly a practicing nurse, Attorney McCaughan joined the legal clinic staff at Capital University Law School in 1998. In addition to representing indigent clients, Ms. McCaughan supervises students enrolled in Capital's General Litigation Clinic and the Civil Protection Unit of the Family Advocacy Clinic. She is also a court-approved mediator for Franklin County . Ms. McCaughan is a member of the American Bar Association, Ohio State Bar Association and the Columbus Bar Association. She serves on the Delivery of Legal Services Committee of the Columbus Bar Association and participates in the CBA's Homeless Project.